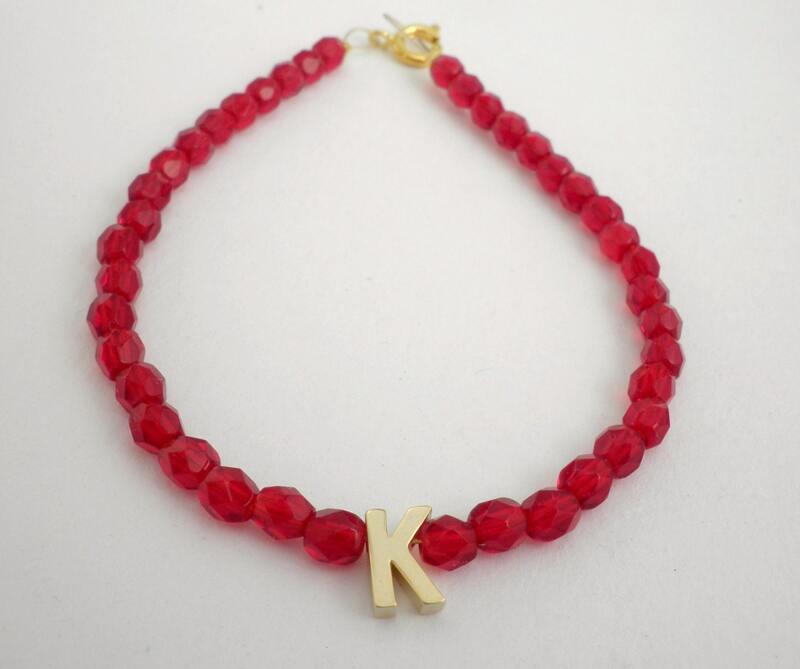 Red glass seed beaded bracelet with small initial charm. bridal parties, birthdays, graduation or any special event! 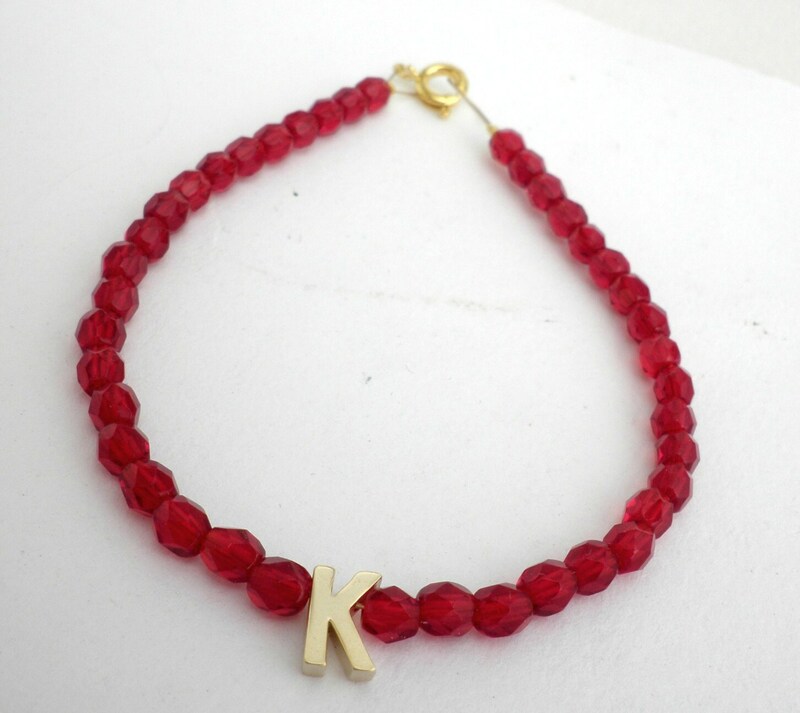 Bracelet size is made to order, please select size from the dropdown selection - measure wrist with a string then measure the string for exact measurements. * The necklace will be delivered ready as gift. This bracelet is so pretty. The beads are faceted so they reflect light and are sparkly. And its so lightweight I can wear it all the time. This is a beautiful piece of simple jewellery. It came delightfully packaged with such care and attention. I love it and am sure I will be ordering some more.